As a blog subscriber, you get a bunch of cool stuff. 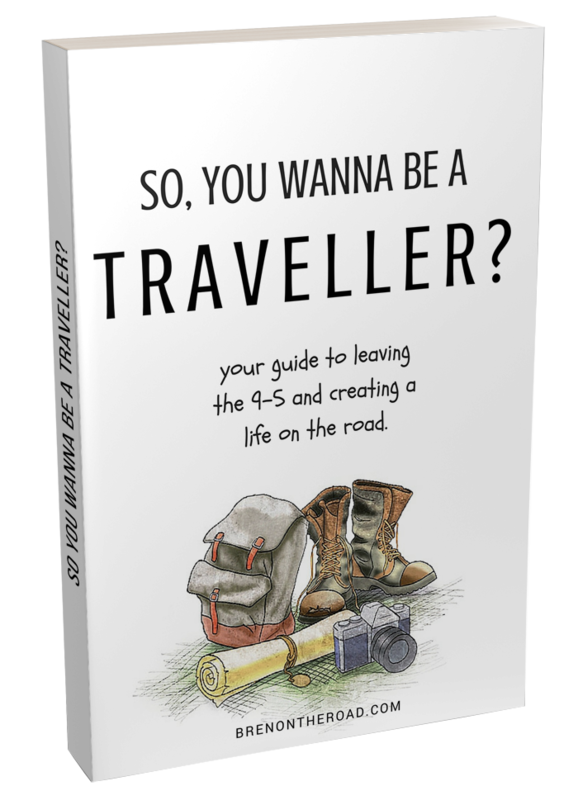 A 71-page guide to creating a life of travel. Effective saving strategies for building your travel fund. Tools and advice for selling your unwanted things before you hit the road. A crash course in earning money online while you travel (and other possible income opportunities). A road map for quitting your job, building a mobile income and travelling the world full time. The second thing you’ll get is my email course on mastering budget travel. Over ten days, my email series will show you all the strategies I use for finding affordable flights, accommodation, travel planning, working opportunities on the road and much more. The final thing you’ll get is my monthly newsletter. This is where I share travel news, travel tips, competitions, run giveaways, share cool stuff from around the web, and update you on my latest travels and blog posts. If you ever decide you longer want my emails, you can unsubscribe instantly at any time with a single click. Don’t worry about the price. It’s all 100% free. No tricks or gimmicks. Just a thank you from me to you for being awesome readers and helping this site grow into what it is today. If you’re in, simply choose one of the options below and enter your details. I’ll do the rest.